Apex Clean Energy’s proposed industrial-scale wind farm in the Barker-Lyndonville area has drawn plenty of protest since it was first suggested in 2014. On Thursday, Apex announced it no longer plans to file its application with New York State this year and the company closed its Barker office. Apex did not say why it will no longer submits its application for the proposed Lighthouse Wind project this year. Last October, Apex said it planned to submit its application in the first half of 2019. The company also closed its Barker office Thursday morning. Apex spokeswoman Cat Mosley said the company will keep open a single “consolidated Western New York development office” on North Main Street in Albion. “Upstate New York communities with local wind projects have experienced tax relief, increased school funding, and economic growth. 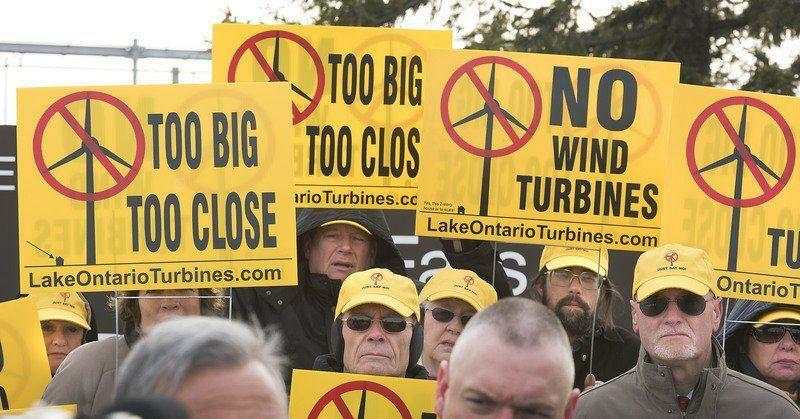 Yet our town leaders have fought this economically and environmentally sound project for years,” said Susan Campbell, coordinator of Lakeshore Mothers and Others Out Front, in a statement. Engert criticized Apex for leaving a “cloud of uncertainty” over Somerset and Yates, saying some energy projects that sat dormant for years but ultimately went forward. “Is our town going to be the town where the developer pops up in two years or three years, and we’re right back in the middle of a tumultuous period? Who knows how big the turbines will be in 3 years?” said Engert, referencing industry trends to build larger turbines that harness more wind power. “It’s time to end it, once and for all,” said an SOS spokesman.